Date and time of Ph.D. programme Entrance Test : 09/09/2012 11.00 a.m. to 2.00 p.m.
i) A candidate will be considered eligible for admission to Ph.D. programme in the subject or in any allied subject in which he / she has obtained a Master’s Degree or equivalent examination with at least 55% marks (50% marks for SC/ST category students) from a recognized University. ii) The candidate working in National Laboratories, Government Research Institutes, registered Non Government Organizations, having the above qualification will also be considered eligible for admission for Ph.D. programme provided he / she is deputed / sponsored by the employer. He / she will have to submit “NoObjection Certificate” from the employer and will have to appear for “All India Entrance Test” conducted by the University. A student of any faculty, in which he/she is not required to do the laboratory work, will be allowed to register himself / herself for Ph. D. programme and to do the research on his/her own and to prepare the thesis without having a Research Supervisor/ Guide provided he/she is having minimum ten years of teaching / professional experience in a college, university or professional institution / organization and minimum five publications in indexed journals to his / her credit and if he /she gives an adequate evidence of his / her abilities and expertise to do the Ph.D. work independently, which will be assessed by a committee of at least two experts appointed by the University. The Entrance test will consist of one paper based on the postgraduate level syllabus of subject of the candidate. The weightage for the written test and viva-voce examination will be 80% and 20%, respectively. A merit list of the candidates will be prepared based on their aggregate score at the written test and the viva-voce. The merit list will be displayed faculty/subject wise on the University website and also on notice board. The candidates will be given admissions to the Ph.D. degree programmes according to their inter-se-meritand the seats available in the subject concerned. Before filling up the form on line it is compulsory to download the brochure, read it carefully , understand all rules and regulations about Ph.D Entrance test(PET). Prepare a Demand Draft from any nationalized bank or Bharati sahakari bank drawn in favor of “The Registrar, Bharati Vidyapeeth Deemed University” Payable at Pune. Please write your name, form number, faculty and subject on back of the DD] . Kindly paste the photograph, attach photocopies of all required documents [ if payment mode is DD, then attach DD] and send the same to the following address CET Online Registration, 2nd floor, Bharati Bhavan LBS Road, Pune 411 030 . You are requested to download the admit card from your mail-id, paste your photograph at a place provided in the admit card. You must sign at appropriate place on the admit card. Bharati Vidyapeeth Bhavan, Ph.D. Section, Second Floor, LBS Marg,Pune 411 030. Does PowerPoint Help or Hinder Learning? respected sir, i have done post graduation in materia medica from MUHS nashik. what will be the probable month for next entrance examination! when i wl get brochure for applying the exam for 2013-14. I have done MSc in Homeopathy from University of Central Lancahire, London, U.K, Can I get admission to PhD in Homeopathy ? Great news!!! 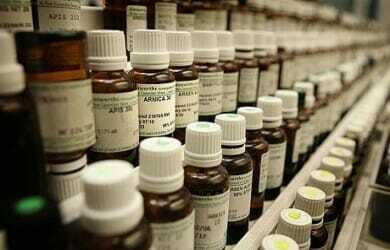 It will defintely benefit those who want to pursue higher studies in Homoeopathy.